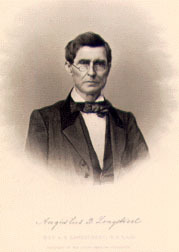 President of Emory College 1839-48, President of the University of Mississippi 1849-56, President of the University of South Carolina 1857-65. Owner of the Augusta pro-slavery newspaper, States Rights Sentinel (which he purchased when it was the North American Gazette.) Uncle of James Longstreet.